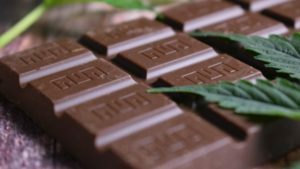 The Canadian government has outlined its plan for regulating cannabis “edibles”, which includes shelf-stable products (i.e., edibles that do not need to be refrigerated or otherwise stored to keep the product safe to eat) and proposed limits to THC levels. To nobody’s surprise, edible products will also require plain packaging that must include the cannabis symbol, health warnings, and child-proof packaging. THC and CBD content information must also be on the label. “These proposed regulations under the Cannabis Act support our overarching goal of keeping cannabis out of the hands of youth and protecting public health and safety. We look forward to hearing the views of Canadians from across the country,” said Health Minister Ginette Petitpas Taylor in a news release. The word “proposed” is key. The ministry plans to conduct public consultation for 60 days to get feedback about the regulations. Some people have already expressed concern that the regulations are too stringent. CEO Chuck Smith of Dixie Brands, a US cannabis edibles company, said that lack of brand awareness is an issue. But, he said, he expects those rules to loosen over time. He did seem happy about the variety the regulations allow. That’s based on current numbers from the US. Between January and July 2018, 43 per cent of the cannabis markets in Colorado, California, and Oregon were edibles and other cannabis products other than dried cannabis. Extracts can contain flavouring agents, but no sugars, sweeteners or sweetening agents. The proposed regulations for “edibles” also include products that can be applied topically such as creams. The planned launch date for these regulations is October 17, 2019 – one year after cannabis became legal for adult use in Canada.